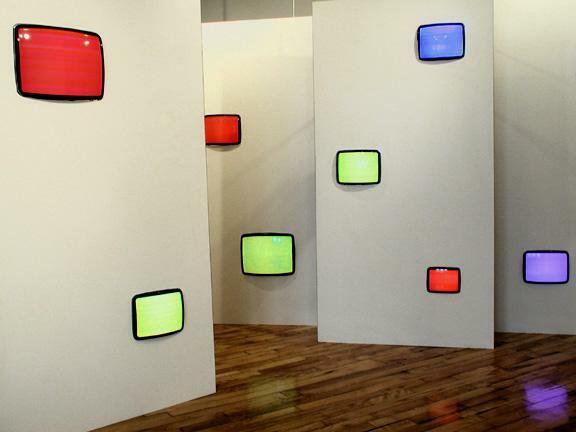 Strobe is a 'modular video installation' consisting of four melamine panels with televisions mounted from behind through windows in the panel. 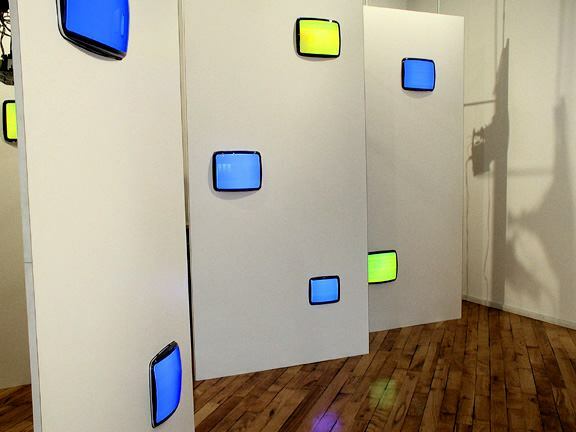 It was exhibited at OH+T Gallery(2003)in Boston. 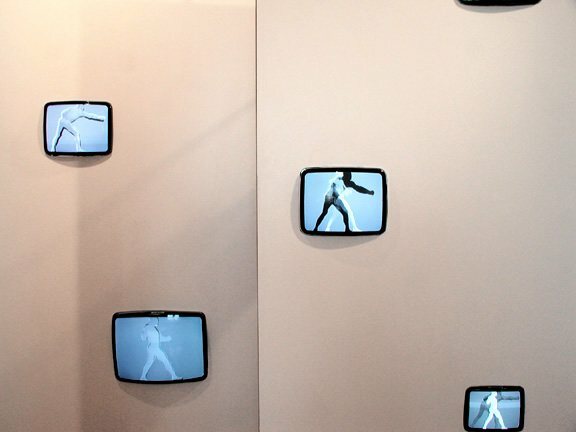 The video program begins with solid color screens that turn into a series of video animations based on the photographs of Edward Muybridge. 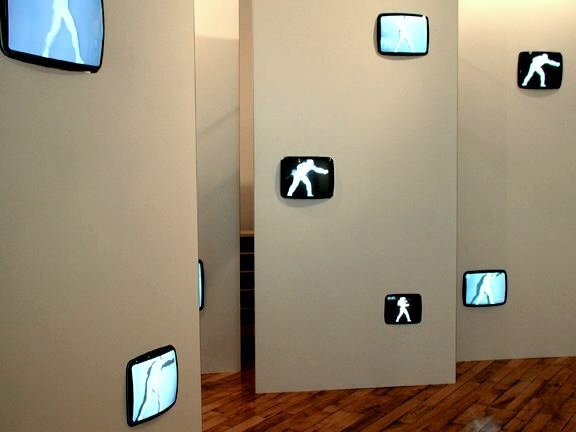 Four photos are sampled in creating the animations: Galloping Horse, Man Punching with Right Hand, Elephant, Man Tumbling. 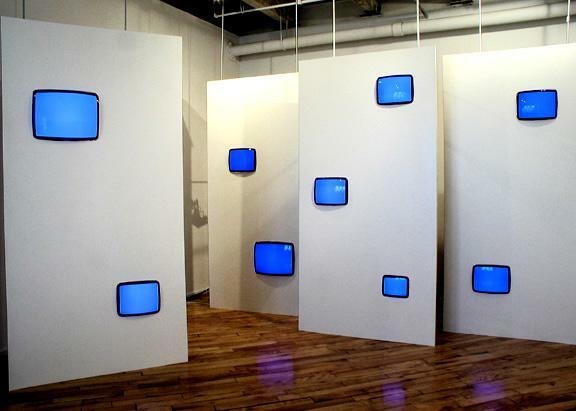 Each of the nine television monitors plays a slight variation of a core animation. 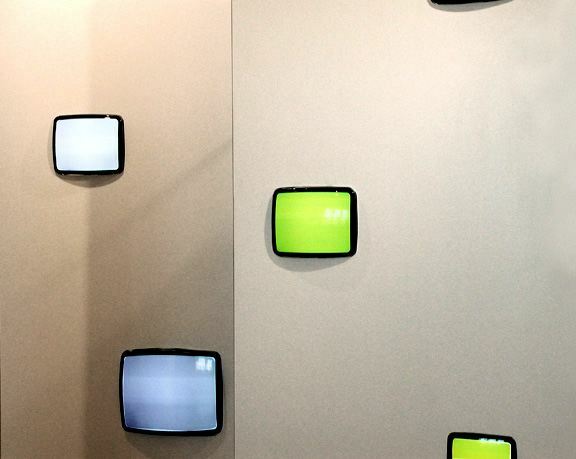 Two short excerpts from the video program may be viewed: acrobat front and galloping horse. 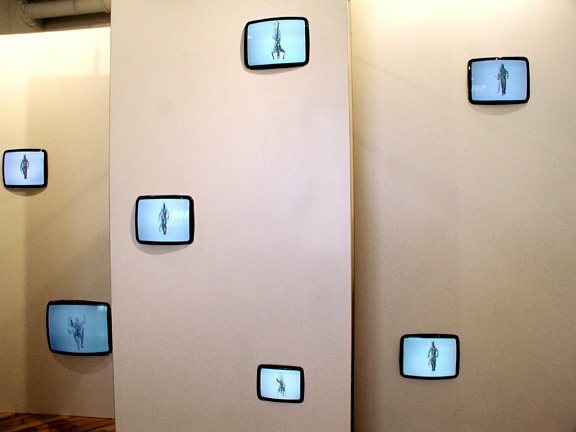 (However, the first example of strobing Muybridge began with the animation of Galloping Horse for the Katonah Museum's exhibition "Horse Tales".) 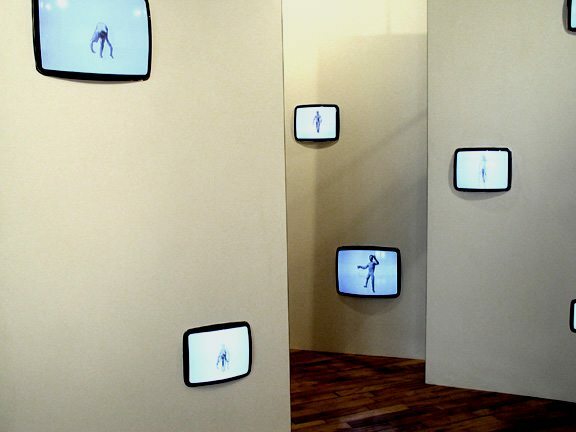 Also included in the OH+T exhibition are computer composed prints made from video stills and digital photos of the tv monitor. 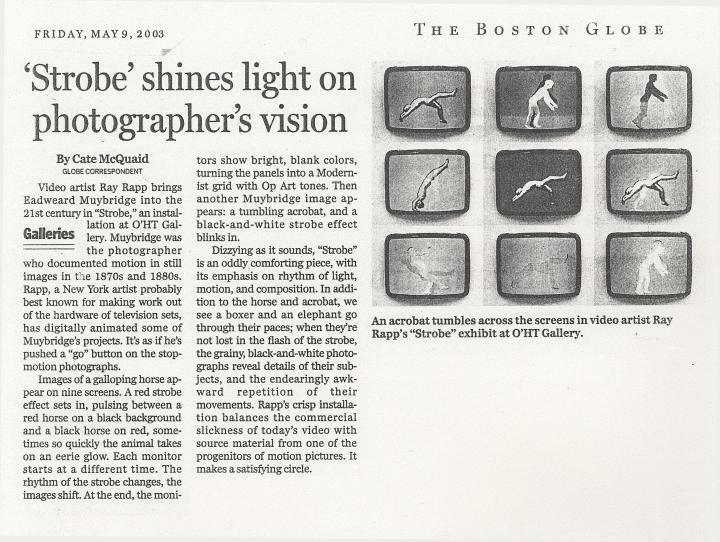 The exhibition was reviewed by Cate McQuaid from theBoston Globe.